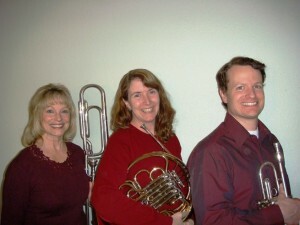 The North Hill Trio has been in existence for many years. Lorrie Perry, trombonist, is the longest serving member of an ensemble which brings myriad style sets to the mix. Lorrie is also a member of Tuxedo Junction and a retired school teacher who often acts as our MC. Joe Potter plays a mean trumpet. He is a graduate of WSU and owner of the Little Spokane Brewing Company (which can be enjoyed at the Steel Barrel Tap Room). 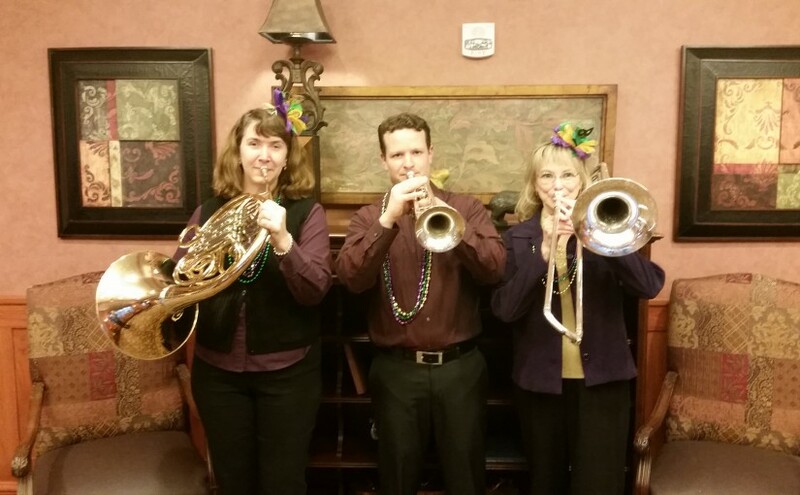 Jennifer Brummett covers horn and arranging after serving 12 years as principal horn of the Spokane Symphony. The North Hill Trio can swing on the oldies, or serve up a German polka. The main idea is to have fun and keep the groove moving.